LONGSIDE TIER 1 – CENTRAL! It’s time for Man City’s final home match of this Premier League season. 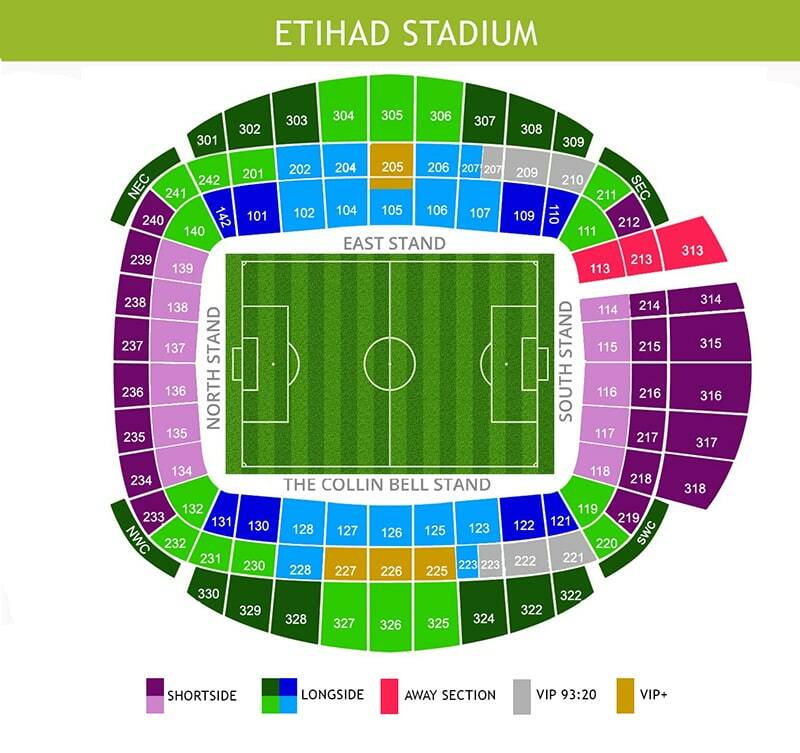 The best Manchester City v Leicester City tickets are available in our ticket inventory. This is your last chance to support Pep Guardiola’s team at the Etihad Stadium this season. Fans of Leicester City get the chance to support their team in a big away match and watch their former player Riyad Mahrez one more time. Book your Manchester City v Leicester City through our secure booking system and watch some of the best players in the world live in action.